Miami welcomes visitors from all over the globe during Miami Cruise Week. Tourists make a stop in Miami for, perhaps, a little Cuban food and dancing. The month of love revolves around that are passionate about boats and antiques. The Antique Show and The Boat Show attract a global crowd via these conventions, which showcase the best of land and sea. As many celebrate Saint Patrick’s Day, seasoned Miamians look forward to Miami Film Fest and Fashion Week. Both allow the visual talents and storytelling capabilities to take center stage within the same month. The younger crowd looks forward to Ultra Music Fest, which revels in electronic dance music. Miami is home to hundreds of cultures and has taken a keen interest in the cuisines, which have resulted in unique fusions. Miami Food and Wine Festival makes celebrities out food dishes. Miami is the financial and fashion hub of the Americas. It is also home to the month’s Fashion shows featuring the Americas. The unique combination of American, Latin, and a touch of European style make this month’s events the hottest ticket in town. Indulge your romantic side because Miami celebrates Romance month every June when wedding season goes full throttle. The whole city helps to revive sweeter emotions for destination weddings and those wanting to make the beach a centerpiece of their ceremonies. Restaurants, spa, and hotels are just some of the businesses hoping to add a special touch to your big day. Instead of signaling the dog days of summer, July means Spa Month. Businesses in the beauty industry offer discounts and amazing packages to make pampering a thirty-one day treat. Miami Spice is a two-month long festival of cocktails and cuisine. Restaurants offer price fixe menus that emphasize their signature dishes. Explore all the dining options our Magic City has to offer. A Miamian and their boat is an endless love affair. October means preparing for the Columbus Day Regatta. Show off your beach bodies and watercrafts for the singular day event. Miami spends November gearing up for December’s Art Basel and celebrating family. The citizen hosts numerous dinners and revives frozen snowbirds during this month. Book your South Beach Miami hotels before shivering New Yorkers packed every lobby and shoreline. Miami comes alive during Art Basel. The American destination of the three-city art spectacular brings out the best in the city. Hotels, restaurants, and galleries spring forth with vibrant joy to match the creativity of the artists. 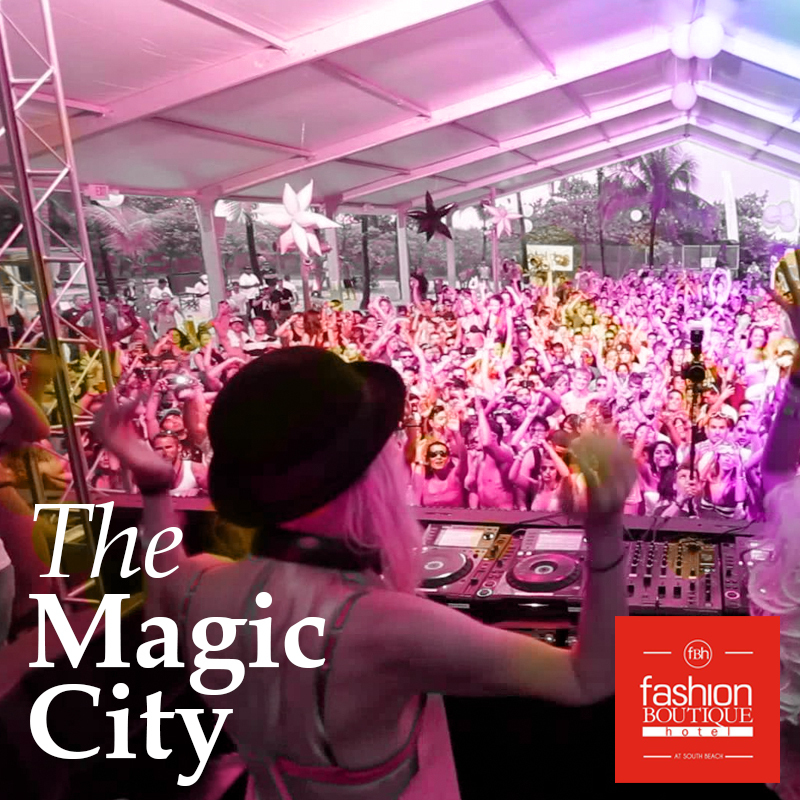 Miami has stellar events each month. Plan ahead so you won’t miss a thing!